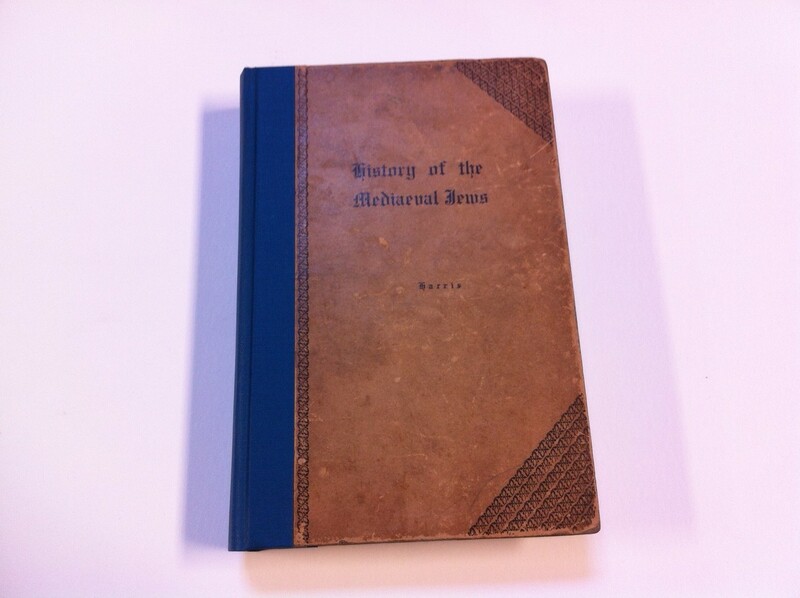 This book was originally quarterbound with a printed paper cover and teal cloth. 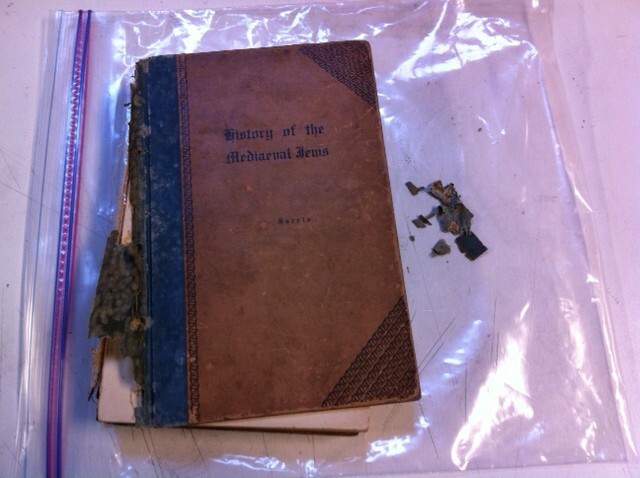 Although the paper is brittle, the client and I wanted to preserve it for its content and appearance. 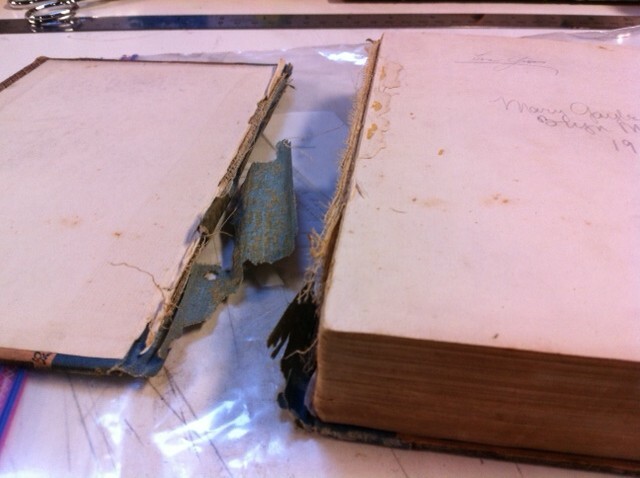 Since the paper does not extend into the joints, it would not further deteriorate from use. I stripped the original glue and mull off the spine, put in a new spine lining with Japanese paper, and inserted a hollow. 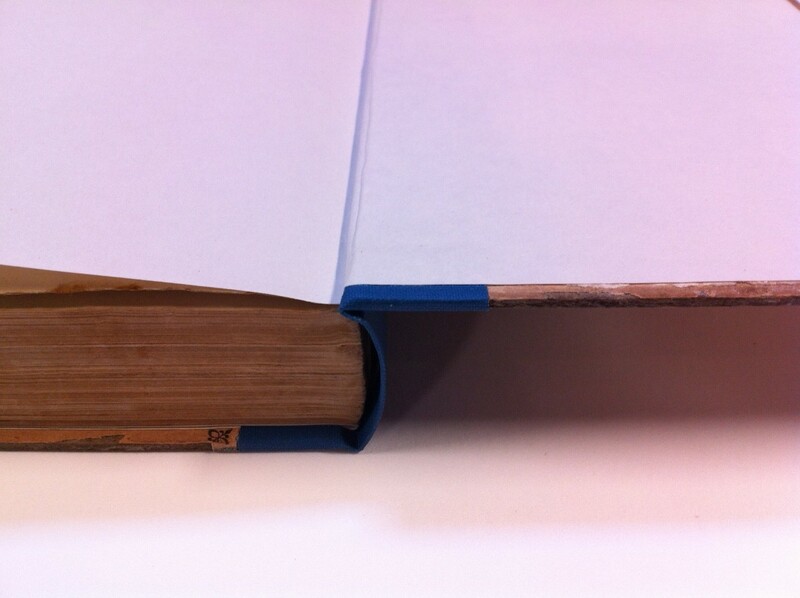 I also added new endsheets and put in a new cloth spine that was similar in texture and color to the original. 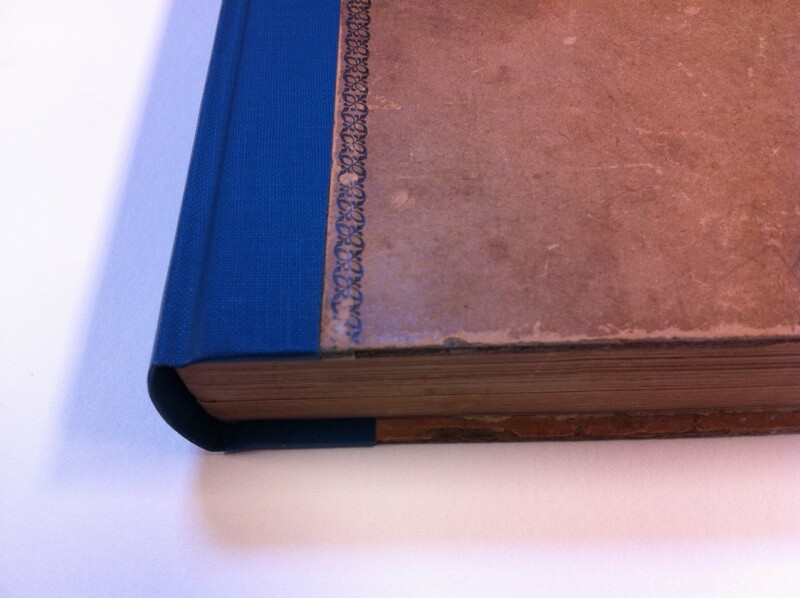 The repair work is visible on this book but the contrast feels deliberate and the result is pleasing to the eye.